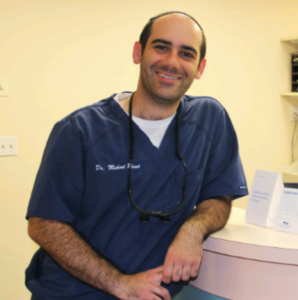 Dr. Michael Plaut is a Bronx periodontist who is board-certified in Periodontology as well as Dental Implant Surgery. In addition to his work at Victor Oelbaum & Associates, Dr. Plaut serves as a Diplomate of the American Board of Periodontology. Dr. Plaut completed his Doctor of Dental Surgery degree from Stony Brook University School of Dental Medicine in 2013, where he later earned a Certificate in Periodontics. During his time at Stony Brook University, Dr. Plaut was honored with the Northeastern Society of Periodontists Award. Upon graduating, he completed a general practice residency at St. Barnabas Hospital in the Bronx. Dr. Plaut specializes in periodontal treatment and surgery, implant surgery, sinus surgery, as well as bone and soft tissue grafting. He takes a comprehensive approach with each patient, focusing on their entire mouth and general health as much as their oral wellness. Through his considerable post-doctoral training and continuing education, Dr. Plaut has learned to take a collective approach when planning the most effective treatment for each patient. He keeps an individual’s periodontal needs in mind while assessing their endodontic, restorative, and prosthodontic needs as well. It is not uncommon for Dr. Plaut to work in coordination with multiple dental specialists to extend the highest standard of expertise and care during treatment. He is currently a member of the American Academy of Periodontology, American Dental Association, New York State Dental Association, and the Nassau County Dental Society. When he is not practicing, Dr. Plaut enjoys bike riding, swimming, and spending time with his wife and three children. Please contact our practice to meet Dr. Plaut in a consultation, or to learn more about how our dentists can help you optimize your oral health.